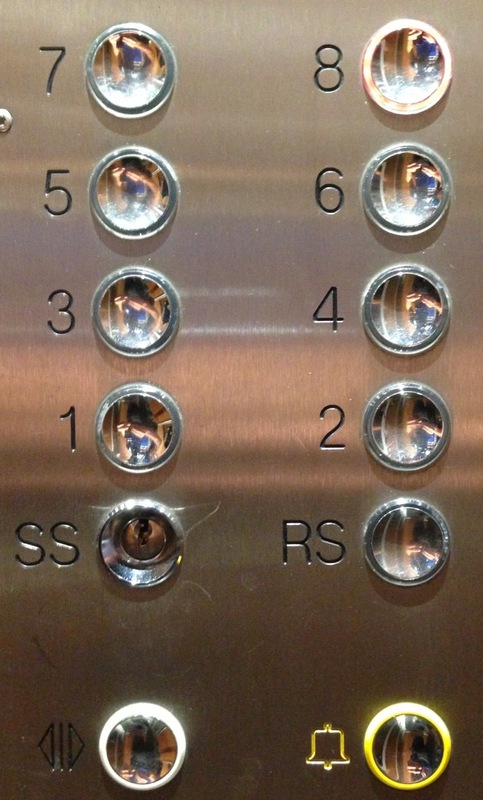 As a messenger, you spend a substantial amount of time in elevators. Of course, in Genève or Lausanne, it’s nothing compared to New York for example, but enough to notice a number of things. 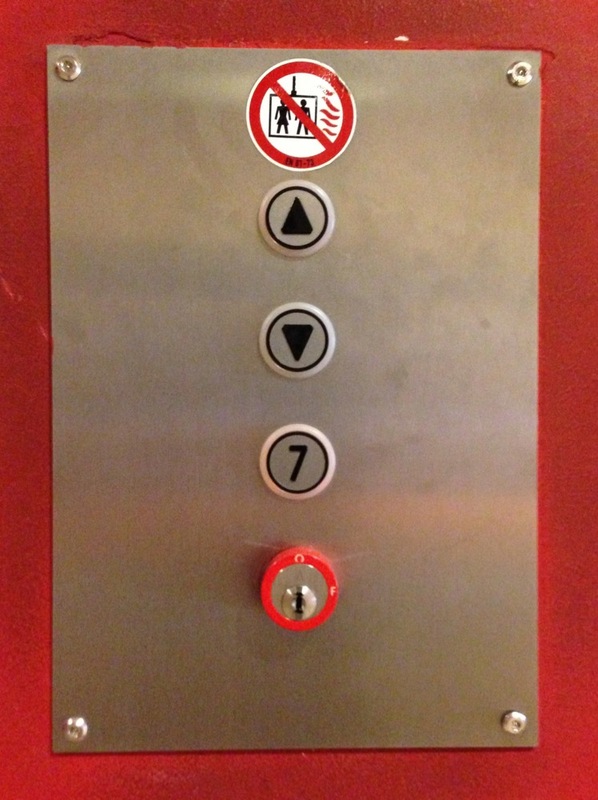 The first couple of times I rode the pictured elevator, I thought to myself that the alarm button was very unfortunately placed where the close-door button should have been. I was wondering if at one point during a delivery I might push the alarm instead of the close-door button. Sure enough it happened. 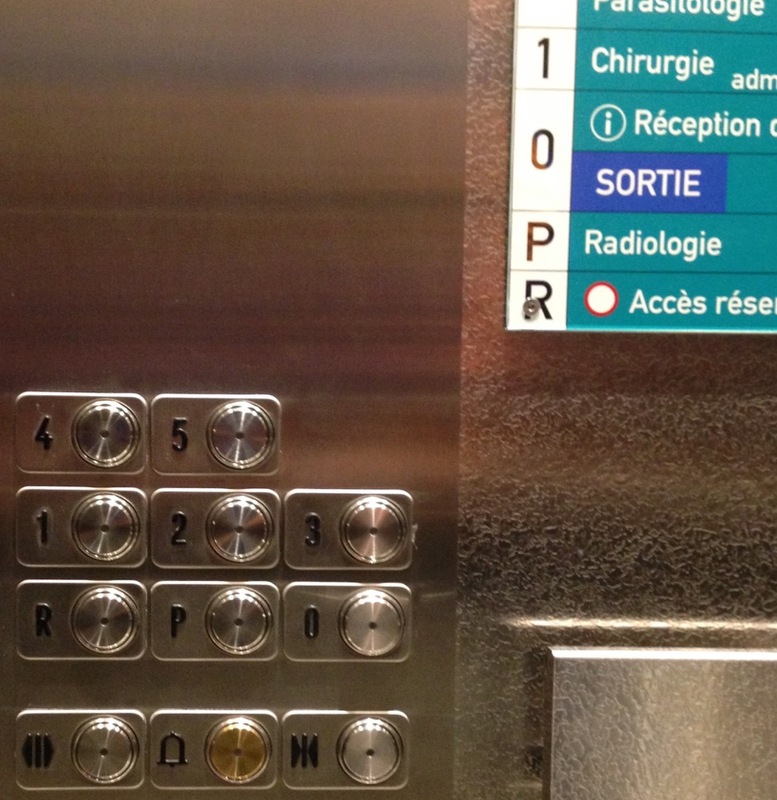 I then decided that I wanted to find out how many of these badly designed elevator panels were out there in Genève. So during my elevator rides, besides bagging and unbagging a delivery or a package, I started taking snapshots of all the different panels I could find. I’m a front-end engineer, so part of my job consists of thinking about the user interface and user experience aspect of software. People can be really picky and go crazy about small details on website or apps. 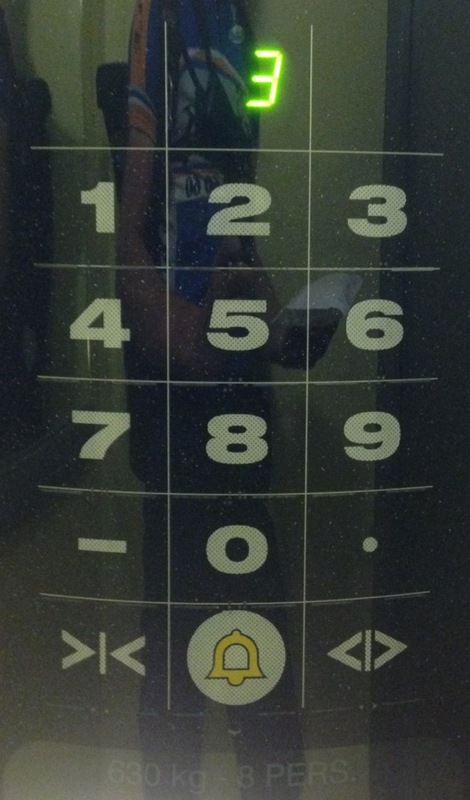 It doesn’t however seem to be the case for elevators. Maybe their interaction is short enough not to bother. But when you’re a bike messenger, you ride a lot of elevators. 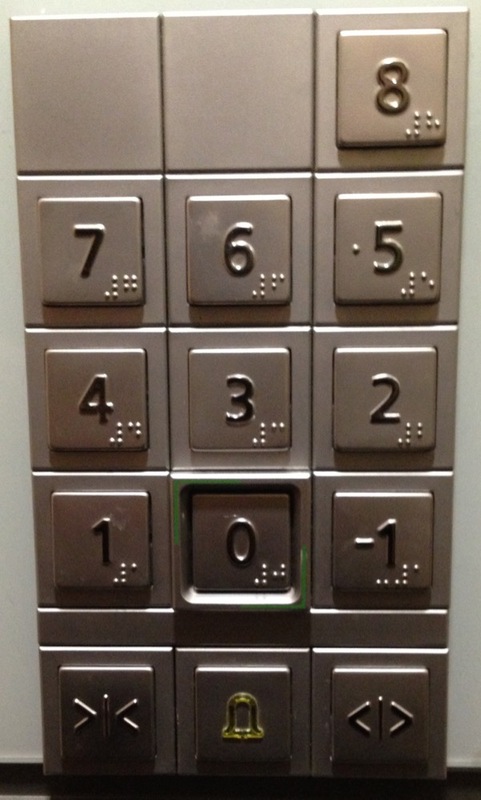 There’s obviously a Wikipedia section about the floor numbering in buildings. Countries like China for example sometimes ban the number 4 because it is homophonous to the Chinese word for “death”1. In Genève, I haven’t noticed any such weirdness. 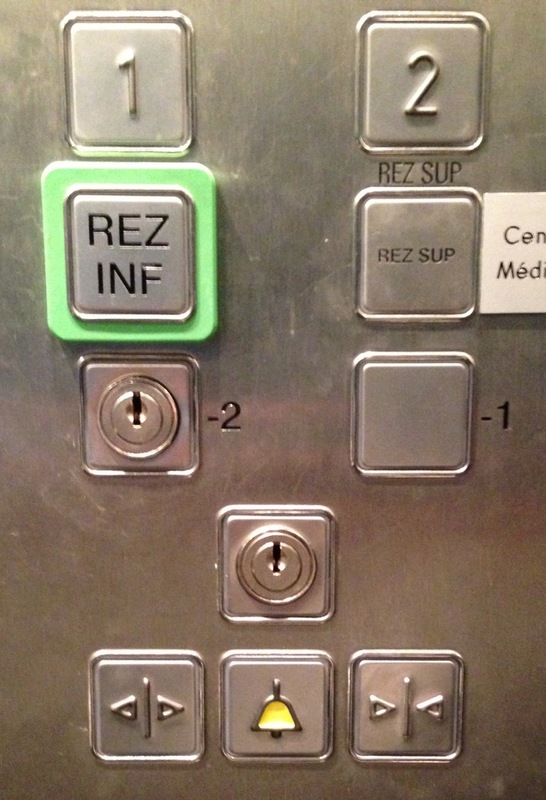 The ground floor usually is 0, R – for “Rez” – or RC – for “Rez-de-chaussée”. There seems to be a convention to mark the ground floor in green. 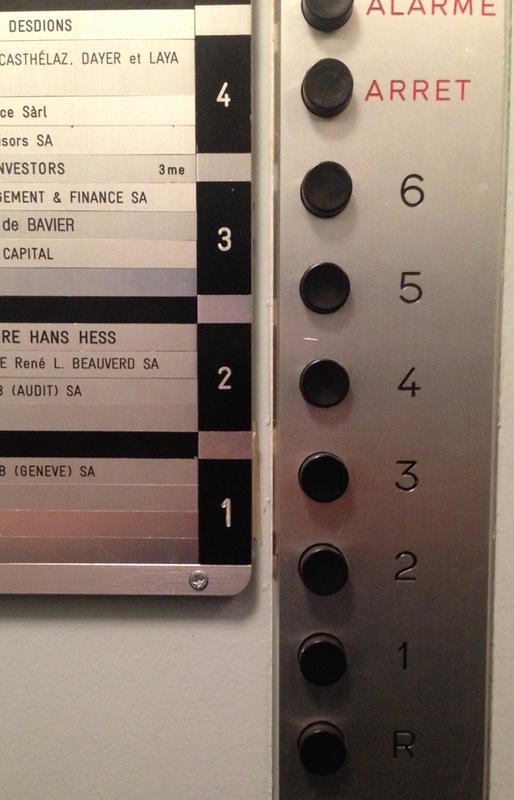 Floors above the ground are simply numbered 1, 2, 3 etc. 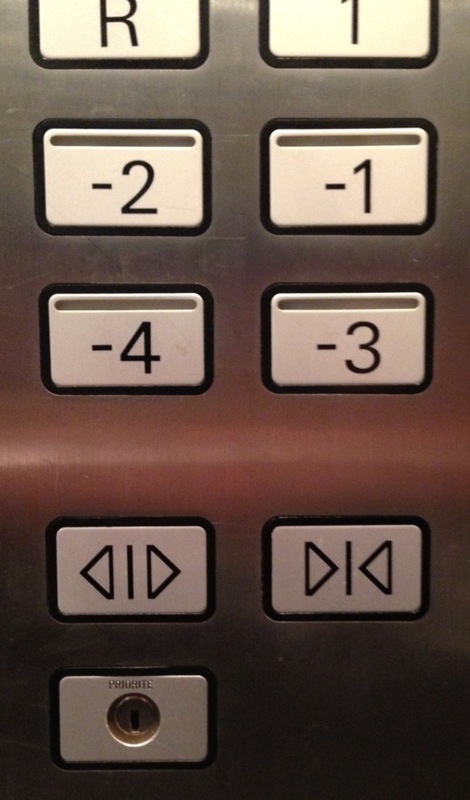 Floors below the ground are either numbered negatively like -1, -2, -3, named 1S, 2S, 3S or S1, S2, S3. 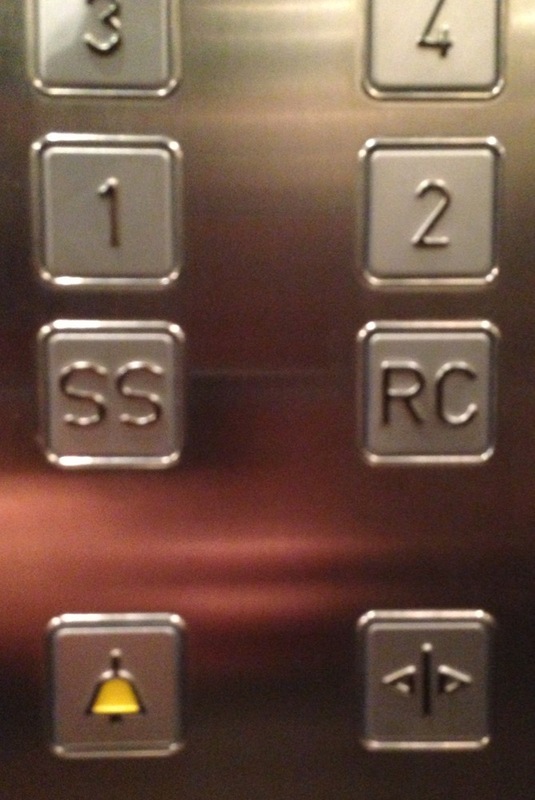 If there is only 1 underground floor, it might be called SS, which stands for “sous-sol” – literally under ground. There are of course exceptions. 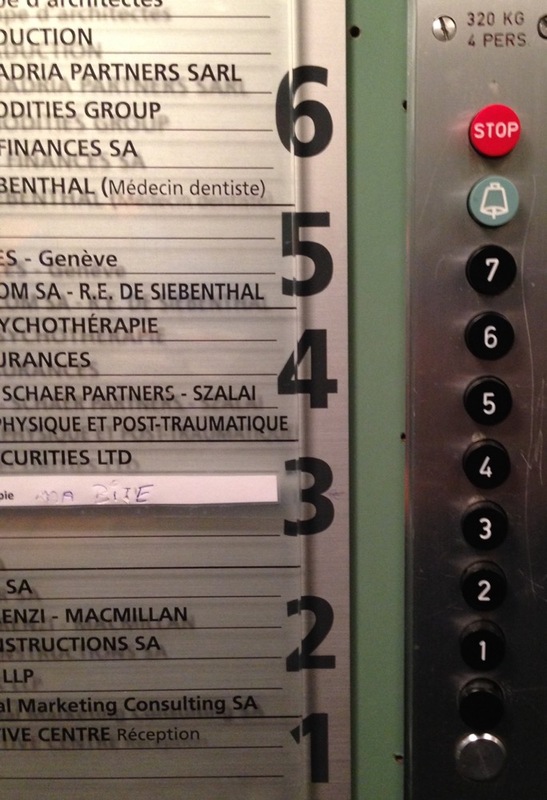 With a highest floor number of 18, Genève is definitely no Manhattan. 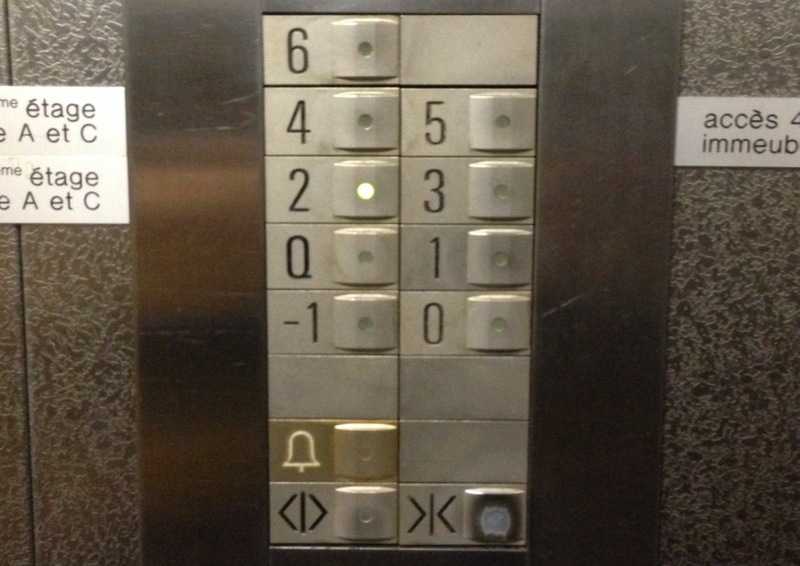 You know how they say that usually those open-door and close-door buttons don’t do anything? 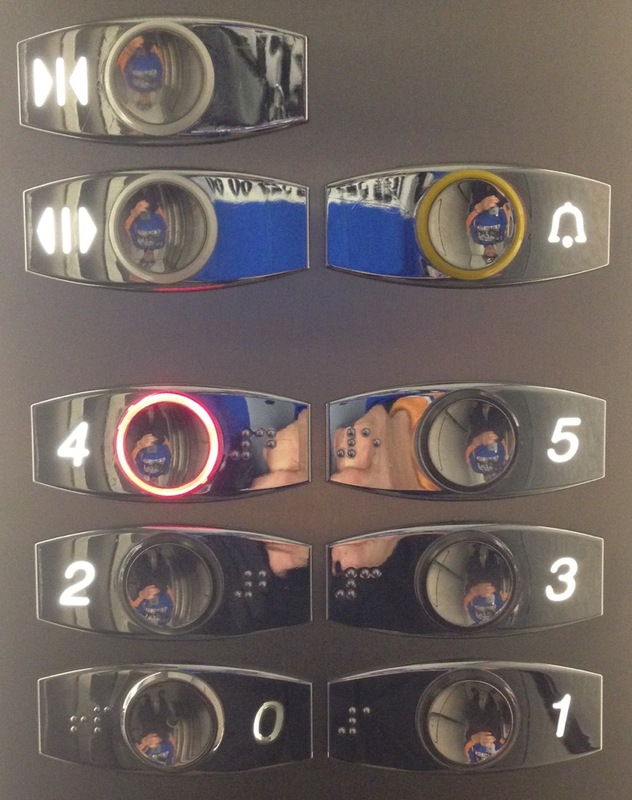 That repeatedly pressing them just makes you feel like the time waiting for the doors to open or close passes faster? I did not have that impression. 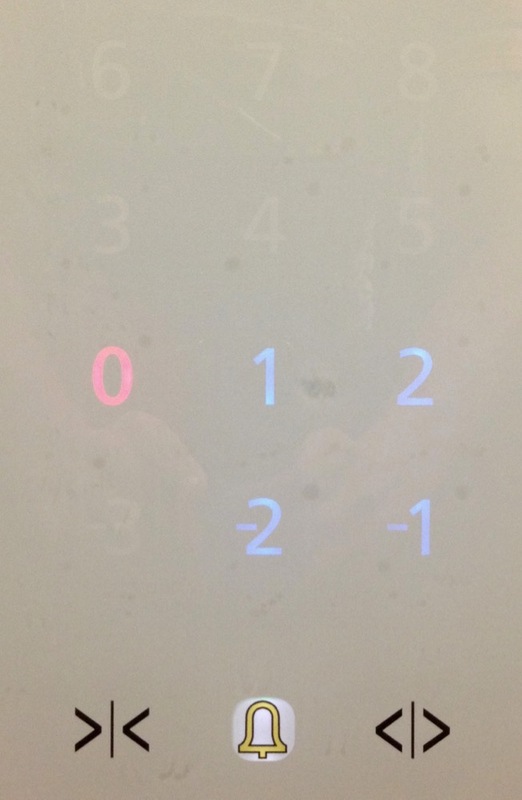 Most of the time, the buttons seemed functional and reactive. I would press once, and the door would move. 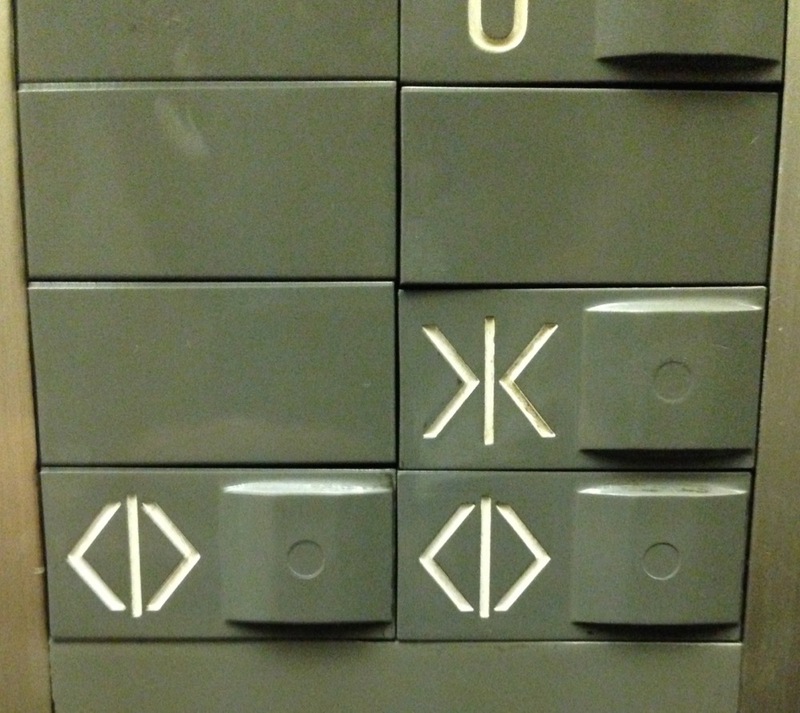 What are the pictograms used for the open-door and the close-door buttons? 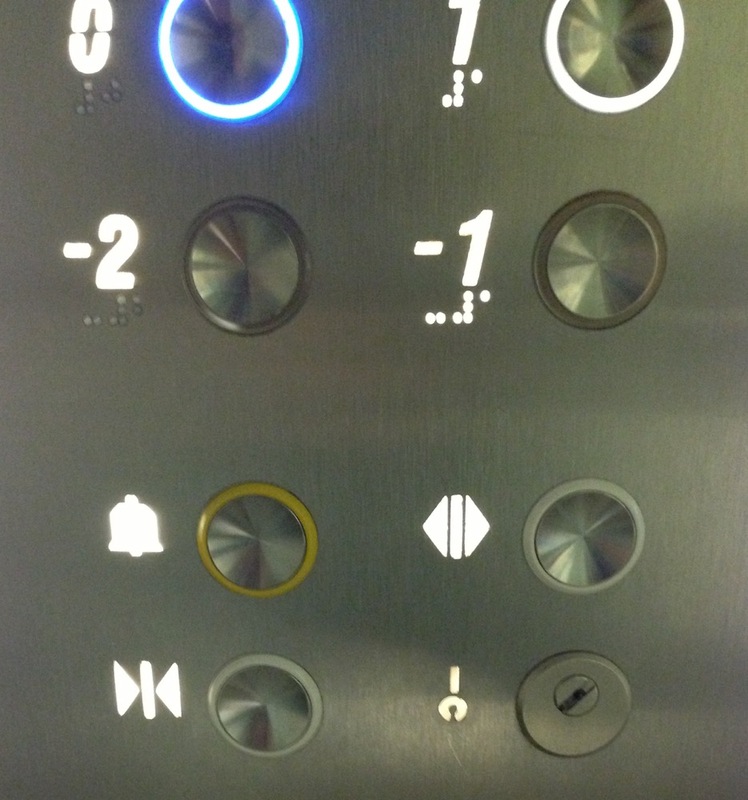 What buttons do elevators have? 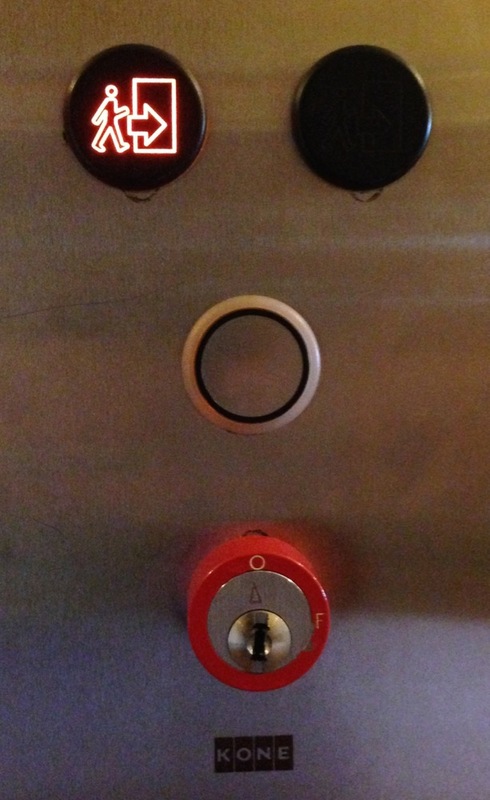 It looks almost as if the alarm button is mandatory. 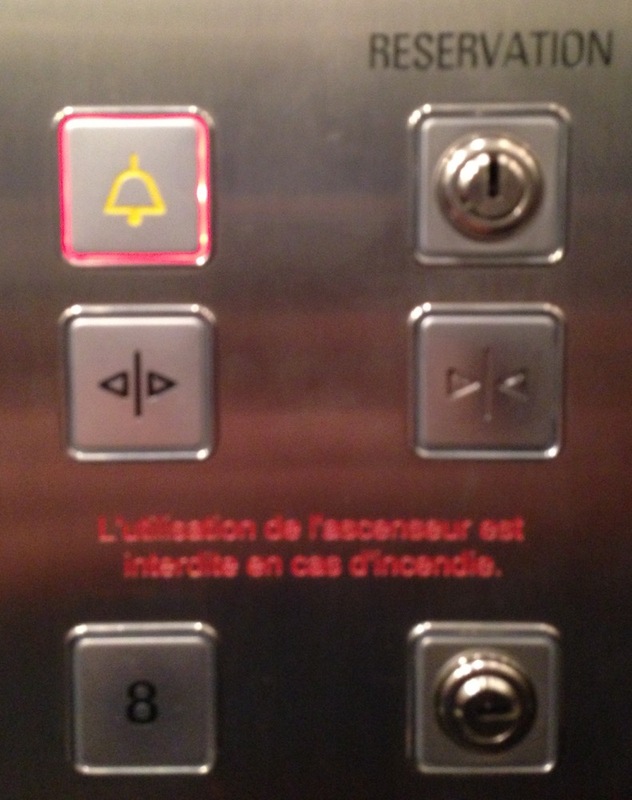 Maybe the open-door button as well, at least on recent elevators. 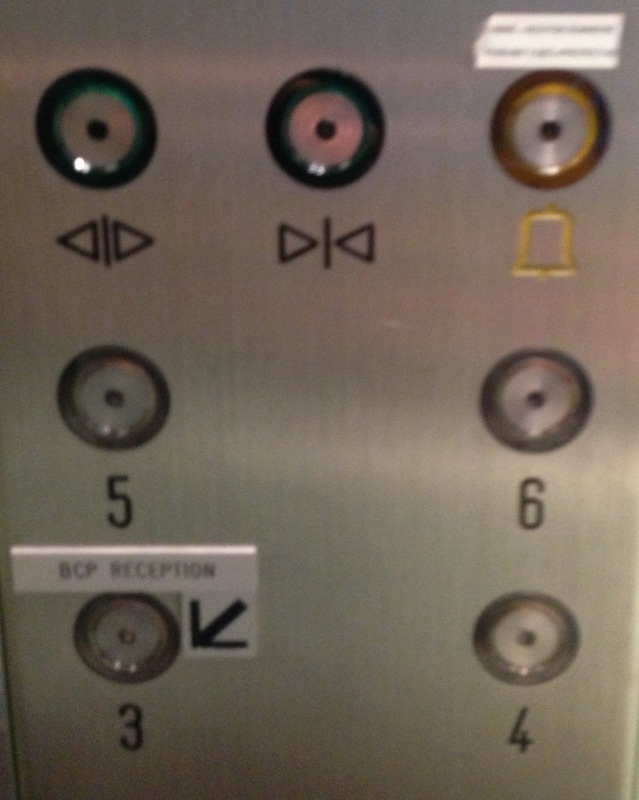 What type of buttons do elevators have? Touch panels are the worst. If you’re wearing gloves or if your hands are wet, they simply do not work. 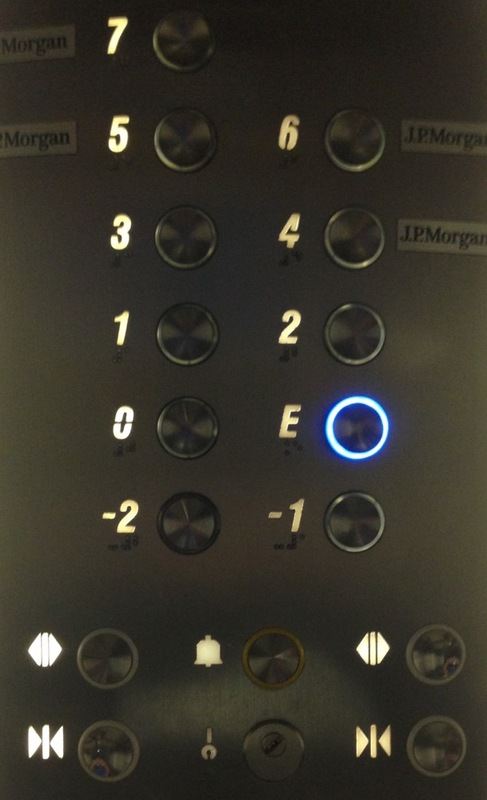 What other kind of information is shown on elevators panels? 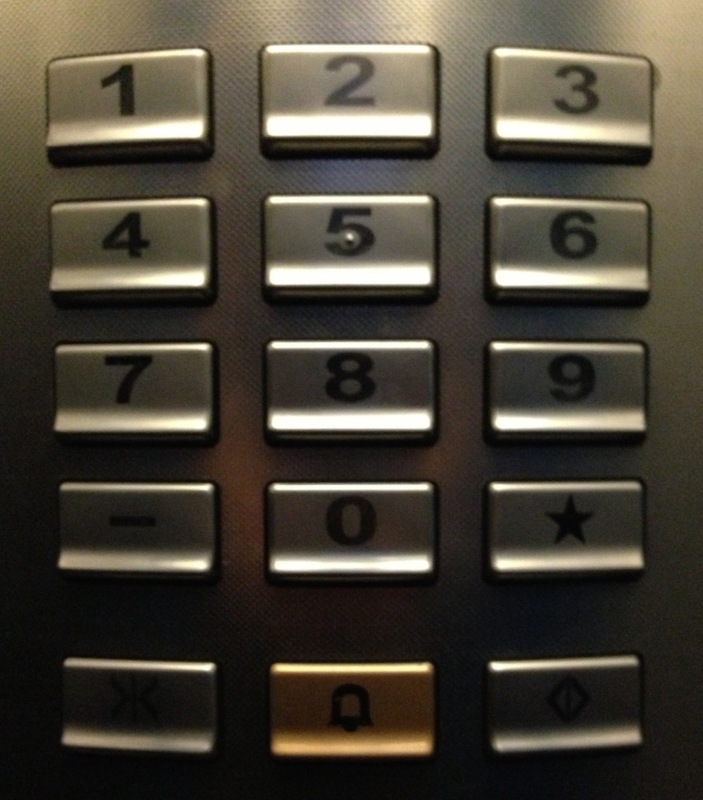 It may seem bad that only 14% of elevators have braille labels, but a lot of elevators probably don’t need them because the floor numbers are engraved, so you can more or less “read” them with your fingers. Or maybe that’s more like a coincidental support for blind folks than good intention. 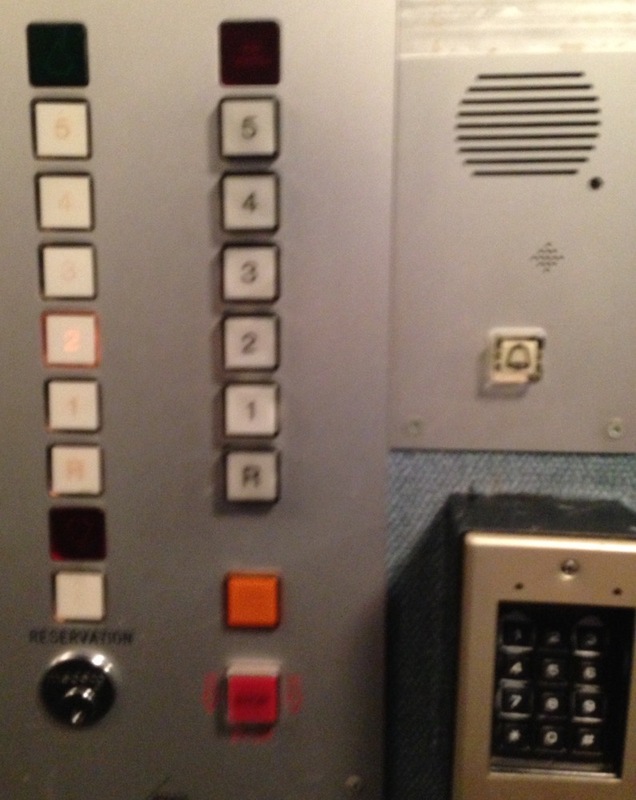 So what is the most generic control panel? 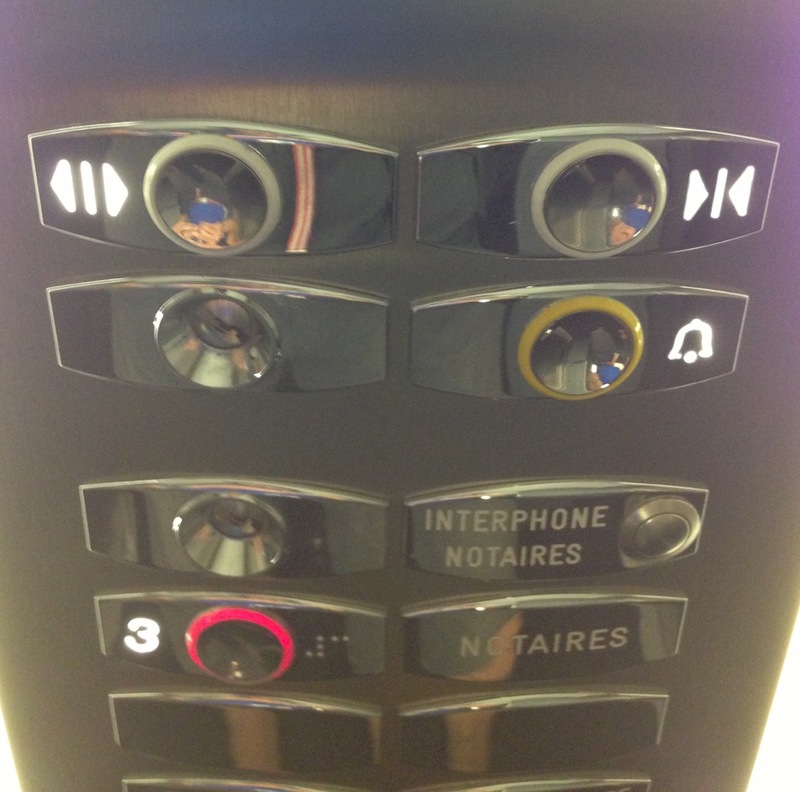 Furthermore, the elevator would probably fit 4 people weighting a total max of 320 kg. 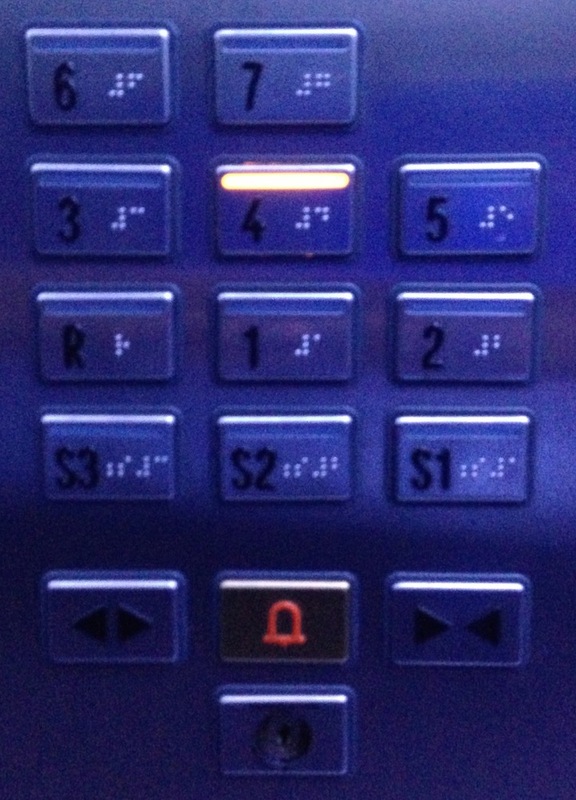 031: both a stop and an alarm button, for those cases where you want to stop the elevator, without ringing the alarm. You know. Those cases. 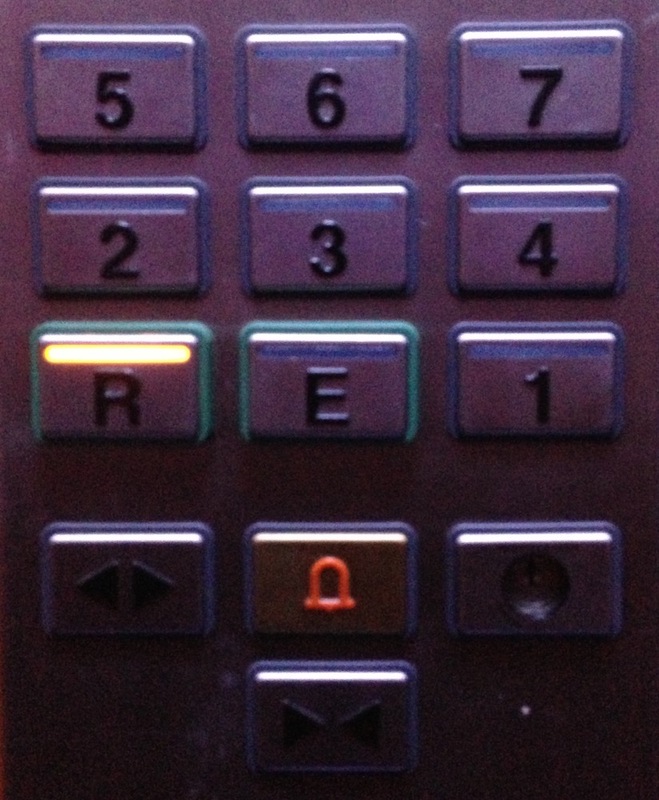 037: fake buttons, because it supposedly looks nicer? 065: “R” and “E” (“Entrée” or “Entresol”?). 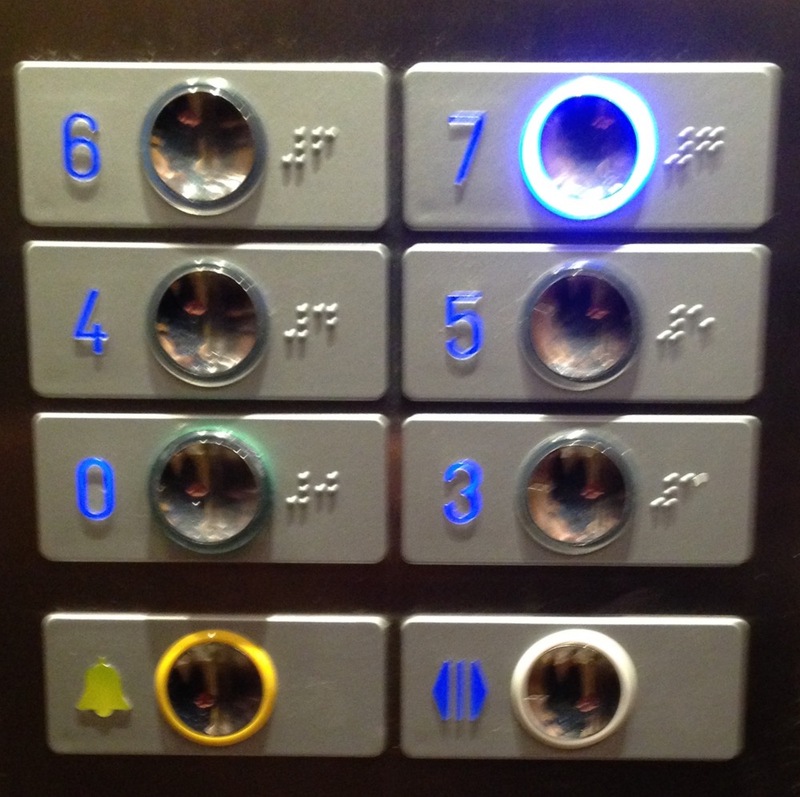 So which one is the ground floor? 066: a 0, another 0 and an “R”. 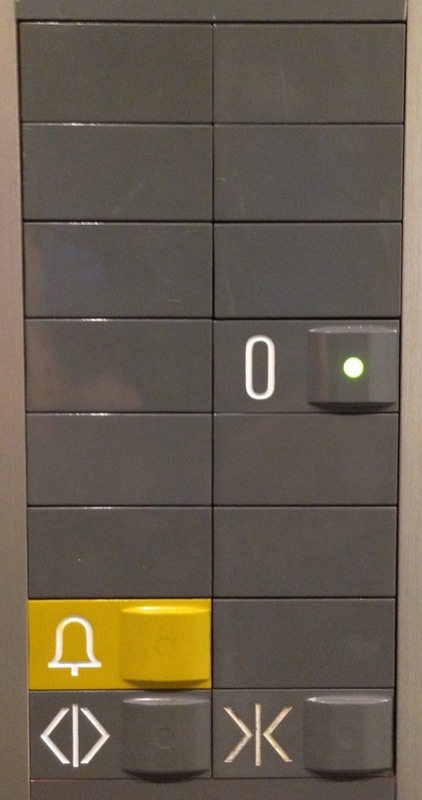 The two 0s can probably be explained by doors on each side of the elevator. But then why add an “R”? I love you if you clicked on all of them so far, but there’s more! 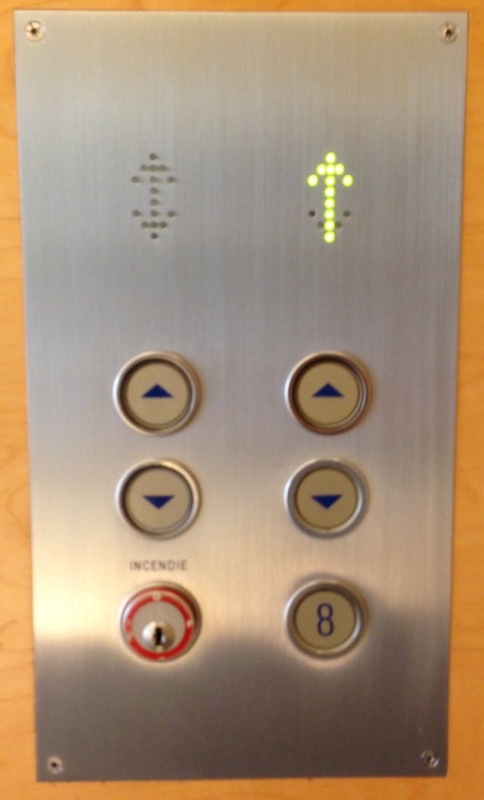 115: big fat buttons with braille = accessibility win! 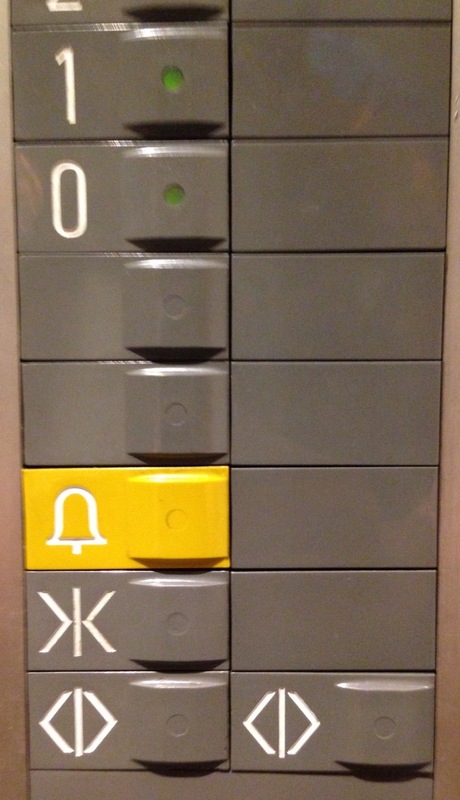 116: nice clear labels for each floor. Awesome! 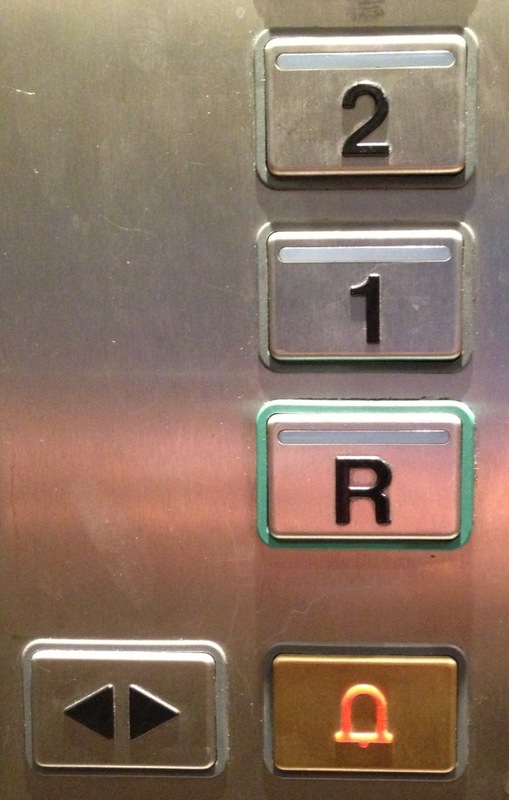 133: “R”, “1E”, “2E”, 1, 2. What. 143: overly popular floor number 3 has nothing on it? 154: “P” is for “Radiologie” and “R” is for “Accès réservé”. Makes total sense! 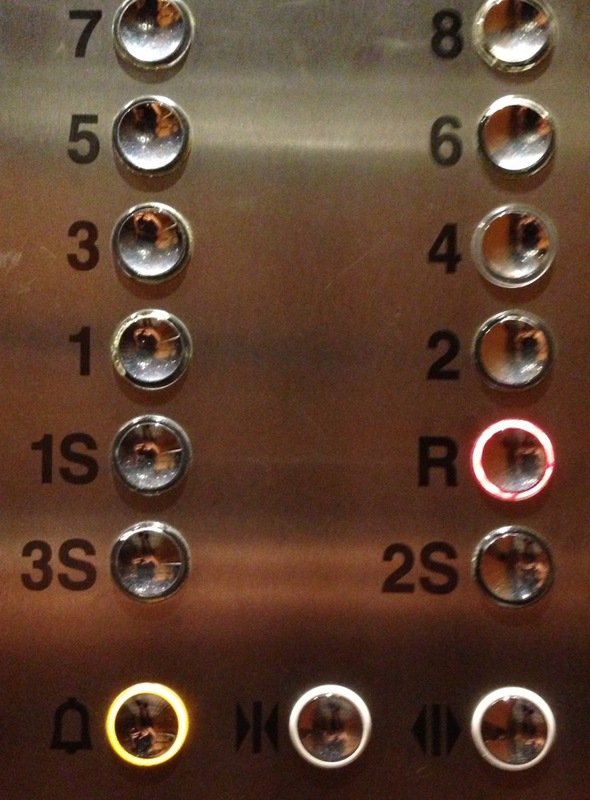 163: you had 1 job! 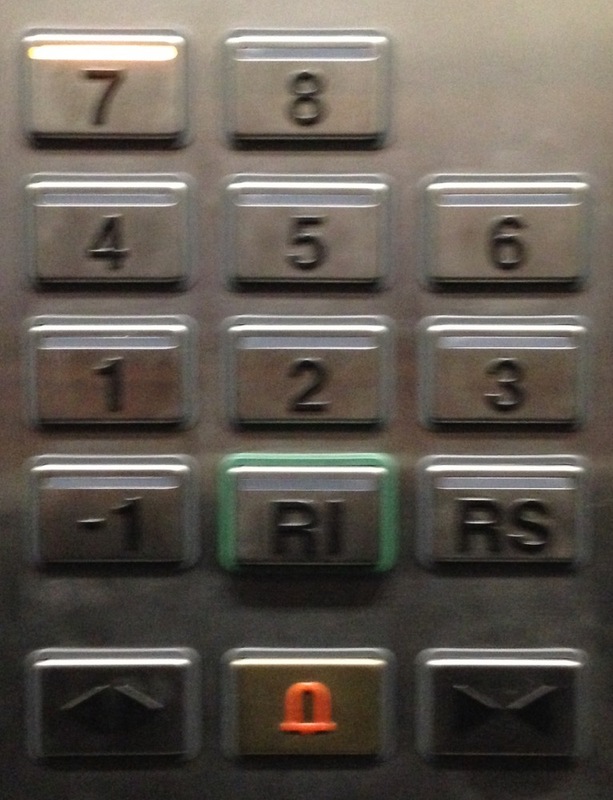 168: the 0 is on the wrong side… argh!